A skate-skier at Round Valley just outside Park City, Utah. Todd held tight to his Sundance streak and has now attended the Film Festival for 20 straight years. I drove #TanVan to Park City and rolled like a VanLife gangster down Main Street to pick up Todd and head out to a snowshoe. We chose Round Valley because of its easy access and easy to moderate terrain as Todd is still suffering from a wicked cold, and he may of also had a late movie night and a few adult beverages. Meanwhile Ogden is buried in snow. We chat about that, and, some really great upcoming local charitable events benefiting the outdoors, adventure news, a My Lands segment dispelling clean air myths, a Quote of the Week, Outdoor Jukebox and our Round Valley Trip Report. 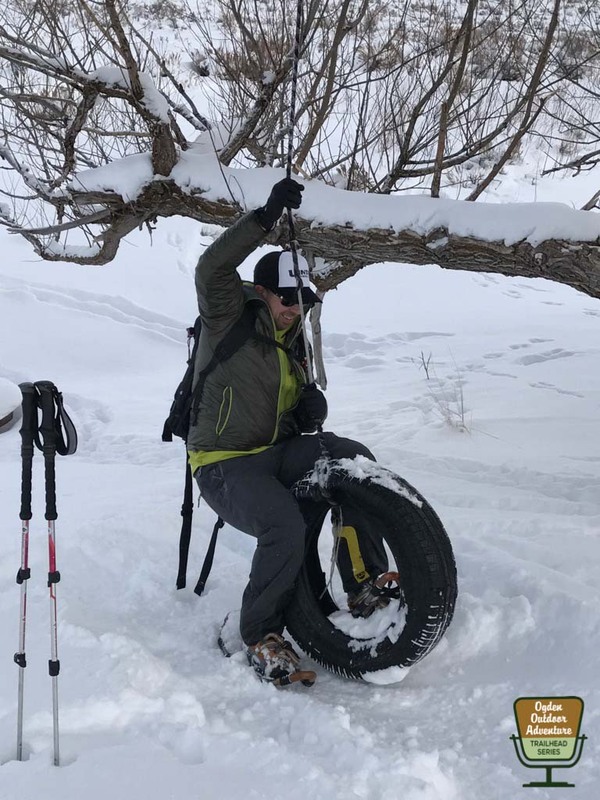 Oh, and we found a tire swing, so, of course we had to try it in our snowshoes. Thank you to GOAL ZERO for powering today’s 264th Episode of the Ogden Outdoor Adventure Show! Look for us on Facebook, Instagram, iTunes, SoundCloud, Stitcher, thebanyancollective.com, and on the Podbean App for Android & iPhones.